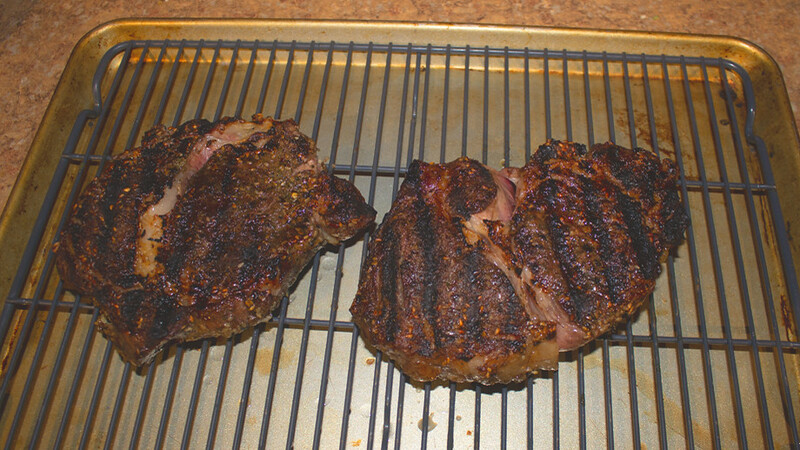 Started with a pair of ribeye steaks about 2 inches thick. 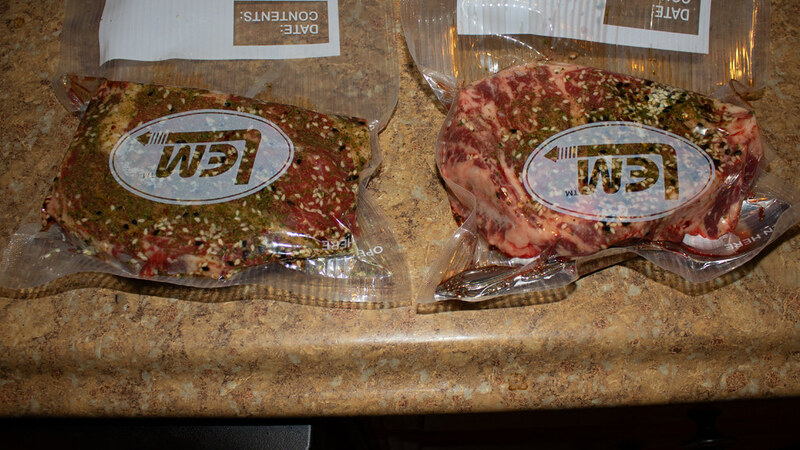 rubbed them with Argyle Street spice mix and vacuum packed. 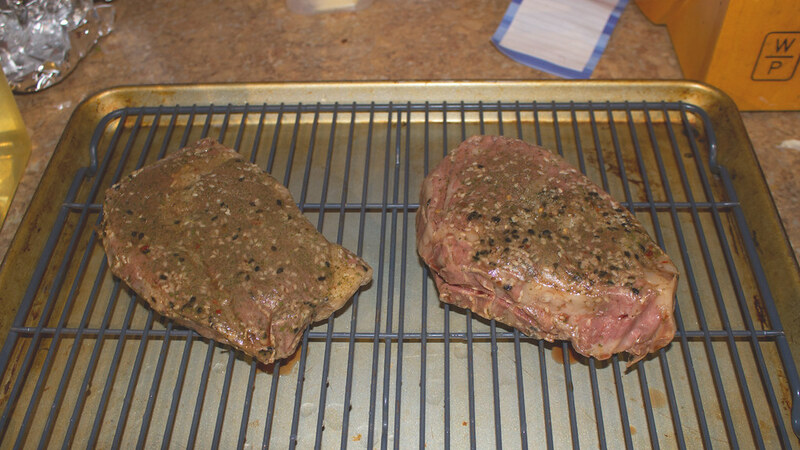 Put in immersion bath for 3 hours at 130 degrees. 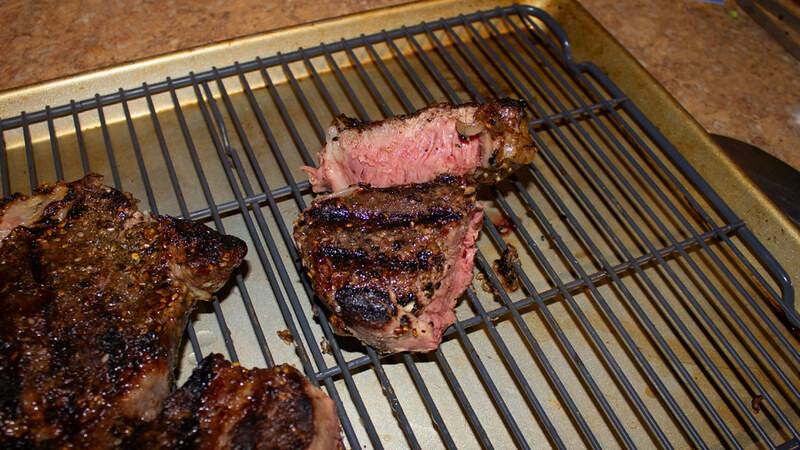 Then onto the grill for the sear - about 3 minutes per side. For a side, I diced and rendered some of my home-cured bacon, added a bit of butter to the pan, tossed in sliced portabella mushrooms, and asparagus and sauteed it all. You NEED to move back to Wisconsin!! My mouth is literally watering! Those look and sound delicious!